The new Mercedes-Benz V-Class will be sold here as a completely built unit (CBU) and will be imported from Spain. 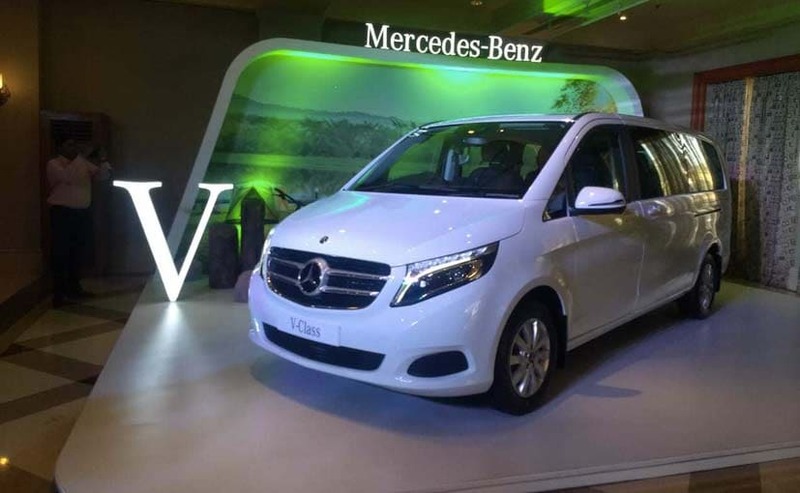 The Mercedes-Benz V-Class marks company's re-entry into the luxury MPV segment. The new Mercedes-Benz V-Class will go on sale as a CBU. It will mark Mercedes-Benz's re-entry in the luxury MPV segment. It will be offered in two seating configurations. 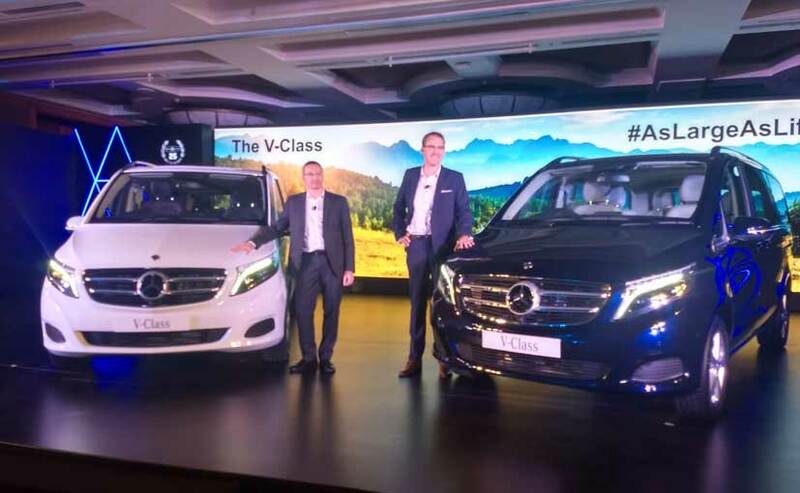 The new 2019 Mercedes-Benz V-Class MPV has been officially launched in India today with prices starting at ₹ 68.40 lakh for the base Expression Line variant going up to ₹ 81.90 lakh for the top-end Exclusive Line variant, all prices ex-showroom, India. While the MPV segment might not be all new for the Stuttgart-based carmaker in India, this is nonetheless a bold step for the company. 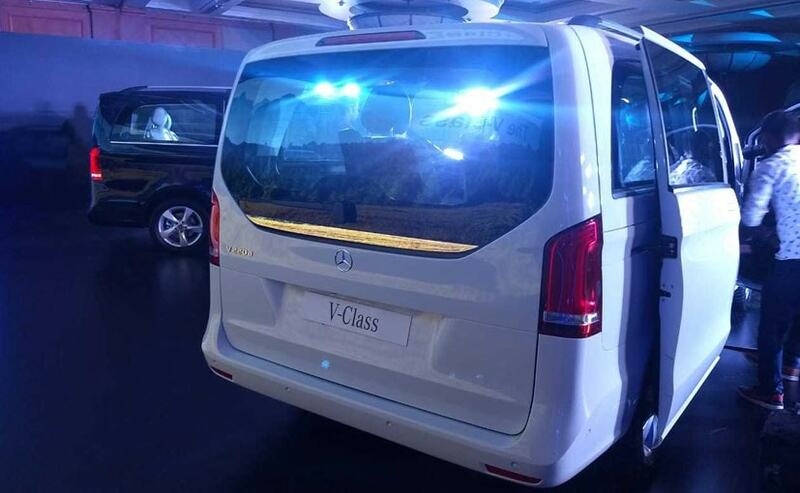 The new V-Class is the first model to be launched by Mercedes-Benz India in 2019 and marks the company's re-entry into a segment which is not really popular among luxury carmakers in India. The new Mercedes-Benz V-Class will be sold here as a completely built unit (CBU) and will be imported from Spain. The Mercedes-Benz V-Class will be on sale in India as a CBU. The India-spec Mercedes-Benz V-Class MPV is powered by a 2.2-litre, four-cylinder diesel engine which is BSVI complaint. The engine is turned to churn out 161 bhp and 380 Nm of peak torque and is mated to a 7G-Tronic automatic gearbox. The new Mercedes-Benz V-Class MPV is offered in India two options - Expression Line and Exclusive line. The former is the extra-long wheelbase version that measures 5370 mm and gets an extended wheelbase of 3430 mm, the latter is the standard long-wheelbase version that measures 5140 mm, and a wheelbase 3200 mm. Globally you also get a standard version that measures 4895 mm in length. Exterior elements include a set of stylish alloy wheels, roof rails, a larger rear windshield and small vertically positioned LED taillamps. Visually, the Mercedes-Benz V-Class has the typical Van-like appearance with boxy proportions. However, the MPV comes with a bunch of bold character lines along the bonnet, front bumper and profile of the vehicle, similar to what you'll find on Mercedes' sedans. The front section also appears to have been inspired by the company's high-end sedans like the E-Class or S-Class. In fact, the headlamps are quite similar to what we see on the S-Class, with LED lights and integrated multi-unit LED daytime running lamps. The grille is typical Mercedes style with twin horizontal slats and the tri-star logo at the centre. Other exterior elements include a set of stylish alloy wheels, roof rails, a larger rear windshield and small vertically positioned LED taillamps. The MPV gets a new multi-functional steering wheel and a large twin-pod instrument cluster with a MID unit at the centre . The cabin of the new V-Class is premium and well-equipped, featuring styling elements like the clean dashboard with large air-con vents and a stick-out display for the COMAND infotainment system. The MPV gets a new multi-functional steering wheel and a large twin-pod instrument cluster with a MID unit at the centre. It also comes loaded with safety tech such as attention assist, crosswind assist, headlight assist, tyre pressure monitoring systems, active parking assist, 360-degree camers and six-airbags as standard. The Mercedes-Benz V-Class is offered in two seating configurations- a six-seater variant where both second and third row get two executive seats and a seven-seat version with front facing executive seats. 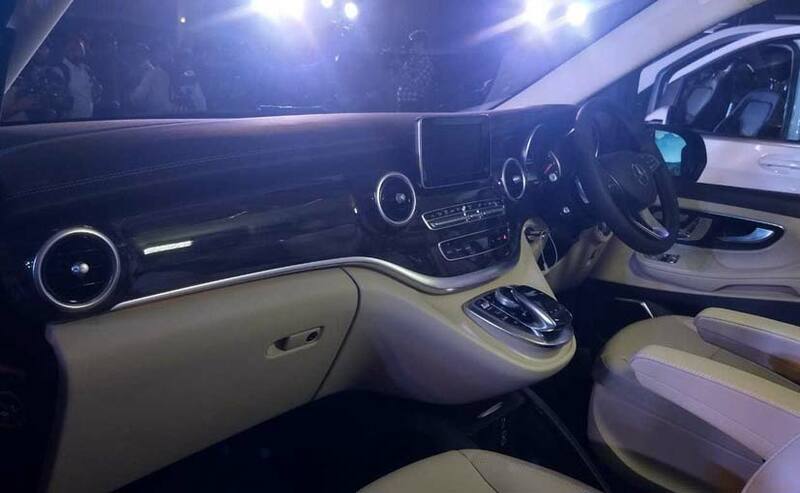 It is offered in two seating configurations- a seven-seater variant where both second and third row get executive seats and a seven-seat version where the second row gets two executive seats and the third row gets three. Interestingly, the second-row seats can also be rotated towards the door which adds to the comfort as it makes ingress and egress easy. 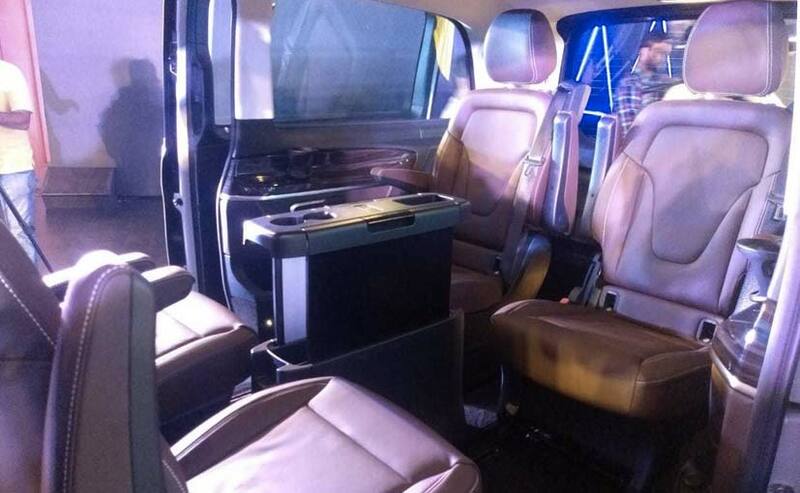 Moreover, the seats can also be rotated to 180-degrees and the passengers can sit facing each other, thus making it an apt MPV where interactions and meetings can be held on the go.